Elliot Fox from Sneak Attack Media has given me a vinyl copy of the George Harrison's epic release George Harrison: Living in the Material World & Early Takes Volume 1 and the 10th person to email me at rbenson30@wi.rr.com with the words "Early Takes Volume 1" in the subject line will win a free vinyl copy! Good luck to all! Universal Music Enterprises is excited for the release of Martin Scorecese's documentary George Harrison: Living in the Material World on DVD and Blu-Ray as well as Early Takes Vol. 1, the companioin music collection of unreleased George Harrison on CD, LP and Box Set. The Martin Scorcese directed documentary takes viewers on the musical and spiritual voyage that was Harrison’s life, much of it told in his own words. The result is deeply moving and touches each viewer in unique and individual ways. 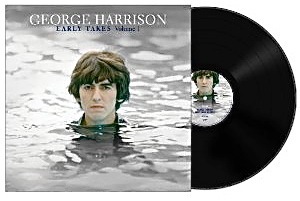 Early Takes Volume 1 features previously unreleased material like demo versions of "All Things Must Pass," "My Sweet Lord" and more. The album is a pivotal companion piece to the documentary and is a must have for any fan. Harrison was bold, an iconoclast. His platinum-selling solo record All Things Must Pass was released as a triple album and featured the hit single “My Sweet Lord.” He organized the landmark benefit Concert for Bangladesh—the first major rock concert to address a world crisis. He launched HandMade Films, a key factor in the revival of the British film industry in the 1980s. He spent 30 years restoring one of the great estates and gardens in England, Friar Park. In every aspect of his professional, personal and spiritual life, until his final hours, Harrison blazed his own path. DEAR JERRY: When I read recently that digital books are now out-selling printed ones, at least according to Amazon.com, it got me wondering if the same is true in the music field. It seems all we hear now is "go online and download" this or that, but no one ever says go out and pick up our new CD or LP album. What is the latest in this regard? DEAR VICTOR: The lines on the sales graph for physical media — CDs, LPs, and DVDs — and their digital counterparts, are clearly moving in opposite directions. It is no different than with books. By the end of this year, if not sooner, digital revenues will have surpassed those of physical media in all categories. 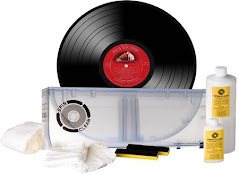 I doubt CDs, LPs, and DVDs will be occupying plots next to cylinders, 8-tracks, and cassettes any time soon, but, over the next few years, they may be moved to the ICU. Convenience and price are the driving forces behind the digital takeover. For a buck or less, one can download an album or watch a movie, all without leaving home, or even getting dressed. Digital technology also satisfies the appetite for instant gratification. Minutes after a performance airs live on TV, for example, you'll be given a site where you can download it, a far more effective sales tool than saying pick up a copy the next time you go shopping. 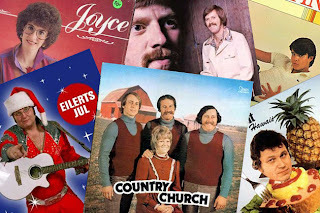 DEAR JERRY: Donna Summer has been in the news a lot since her death (May 17), but little has been said about her place among the top female singers, some of whom you have written about recently (Streisand; Norah; Adele; Shania; Madonna; etc.). How do the Disco Queen's album sales compare to the aforementioned leaders of the pack? —Denice Marlowe, Baton Rouge, La. DEAR DENICE: Donna is not among the superstar frontrunners (see list below), but neither is she bringing up the rear. Sources vary, depending on endless variables, but Summer always seems to rank somewhere in the Top 20 when it comes to the most successful female recording artists. Donna will ultimately be pushed down on the list as the 21st century divas, mainly Adele and Norah, jump ahead of her. There is one eccentric little claim that Donna Summer is assured of keeping all to herself. She is the only artist ever with three consecutive No. 1 double-LPs in the USA, those being: "Live and More" (1978); "Bad Girls" (1979); and "On the Radio: Greatest Hits Volumes I & II" (1979). IZ ZAT SO? When worldwide sales of an album cross the 20-million mark, it joins a very exclusive club of all-time best-sellers. For now, this society's sorority wing has only 14 members, some with multiple entries. *Indicates at least 10-million units sold in the U.S. alone. "We just uploaded the artwork for our upcoming second full-length 'Reforged in Gore.' We're about to finish the mix and then we'll post a brand-new song for you! 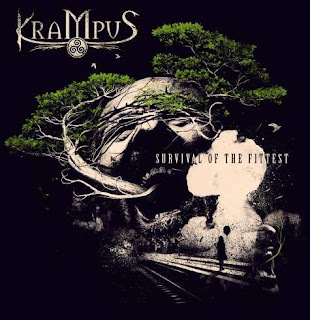 Udine, Italy-based modern folk metal band KRAMPUS will release its first full-length album called 'Survival Of The Fittest' on August 24 via NoiseArt Records. The effort was produced by KRAMPUS frontman Filippo Gianotti at Udine's Blackmirror Studios. 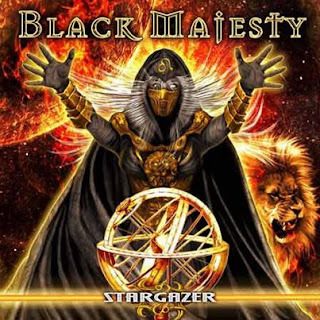 Australian melodic power metallers BLACK MAJESTY are set to release their new album, 'Stargazer' on July 20 via Limb Music. Dirk Illing (SCORPIONS, WIZARD) once again handled the album's artwork, which continues the theme of the band's past works. 3. Beck - I Just Started Hating People Today 7"
15. Jack White - Love Interruption 7"
16. Chris Robinson - Blue Suede Shoes 7"
20. Gaslight Anthem - 45 7"
21. Alabama Shakes - Live At Third Man 7"
22. 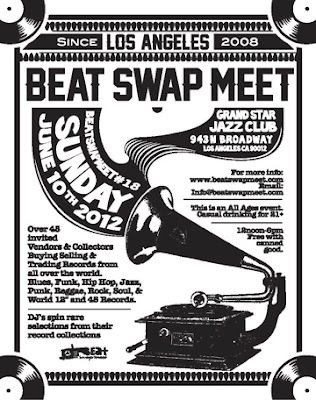 Mynahbirds - It's My Time 7"
LOS ANGELES and beyond: It's the 18th installment of one of LA's most appreciated events. Literally TONS OF RECORDS for Buy & Trade. Outdoor Vendor Village with Dozens of Artists & Designers + the brands they've created. B-Girl & B-Kids Battle, Live Bands, Open Cut Session & Thud Rumble's Dirt Style Challenge, Producer Invite, Kids Arts & Crafts, and sooo much more. Over 45 Invited Collectors & Dealers, Selling Records from all over the world. 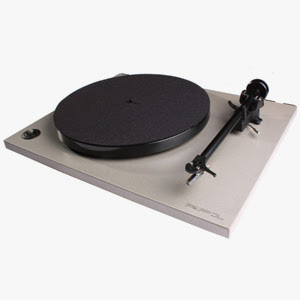 Blues, Funk, Hip Hop, Jazz, Metal, Psych, Punk, Rap, Reggae, Rock, Soul, & World - 12", LP's, & 45's on VINYL. Entrance: Free w/ Canned Good; Canned goods are donated to the local homeless communities of Los Angeles County.